Yoga Teacher, Thai Yoga Practitioner, and Writer. Carole Westerman’s mission is to bring yoga to everyone! Carole is an ERYT-500, and is also registered with Yoga Alliance for the specialties of Prenatal and Children’s Yoga. 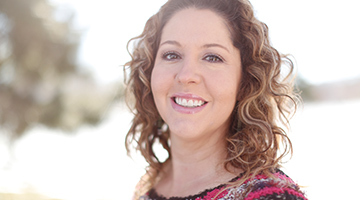 She is a Certified Childbirth Educator, and has experience as a Doula attending births. Carole has a Bachelor’s and Master’s Degree in Psychology and has worked many years in the fields of children and family services. In addition to her full-time yoga teaching schedule in Omaha, Carole is also the owner of Evolve to Harmony, and Director of the 200-Hour, 500-Hour, and Prenatal Yoga Teacher Trainings. Carole is on the Teacher Training faculty of several yoga schools and travels to teach nationally and internationally. She has created her own curriculums for a variety of certification programs, including; Prenatal, Yin, Restorative, and Children’s Yoga program.